Lake Winnipesaukee lakefront land. The lot has views across the broad section of Winnipesaukee to Gunstock and Belknap Mountains. Southwest exposure, fabulous sunsets. 4 bedroom septic approval. Private area in the Lakes Region. 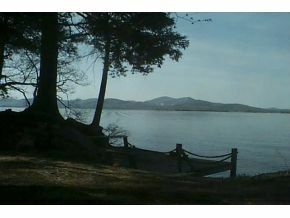 Level waterfront building lot on .55 acres in Moultonborough, New Hampshire. Listed by Century 21 Lakes Region Realty. For additional information on this land call Lady of the Lake Realty at 1-888-737-5550 or e-mail at info@nhlakesrealty.com or visit our website to view similar lots in New Hampshire at www.nhlakesrealty.com or www.lakeorskirealestate.com Contact us today!